Along with the new weapon, the war pike, and the two new behemoths, the armored Skarn and the agile Kharabak, the "Sharpen Your Skills" update also includes a change that may prove fairly significant. Previously, there wasn't much distinction between the different weapons other than whatever you personally preferred. With the update, damage types have been added to all the weapons and those damage types will affect the behemoths in different ways. For instance, all hammers do blunt damage, which is effective against armor (HI SKARN!) and for stunning behemoths. Other weapons do piercing damage that will weaken a behemoth's limbs, making them more vulnerable to slashing damage. As the developers point out in the video below, it's not necessary to go hunting with a mix of all these damage types, but they do add a new strategic level to the game. Weapons can be customized further with the new "Cell System" that adds slots to a hunter's gear into which "cells" can be dropped to enhance damage, defensive values, or add elemental damage/effects. The full patch notes for the "Sharpen Your Skills" update can be found here. 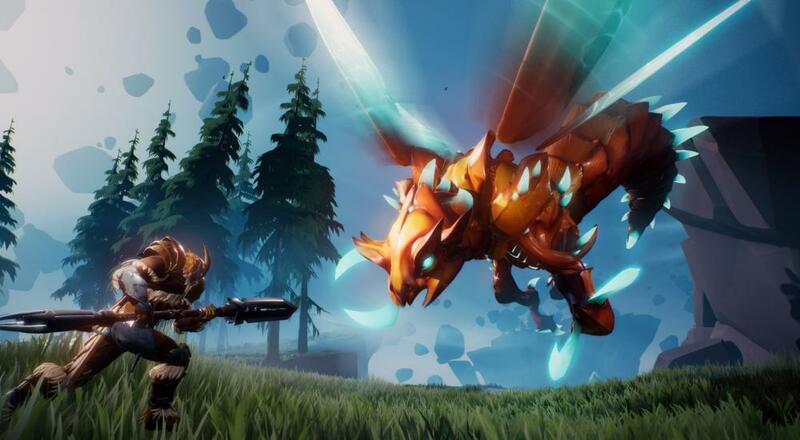 Dauntless is currently available on PC, though it is in "Closed Beta." You can sign up on the Dauntless website to try and get into the beta, or you can purchase one of the Founders' Packs to get instant access. The title should be going into open beta sometime next year, if you'd rather wait. Four player online or four player LAN co-op is supported throughout.